Takeshi Kaneshiro is on the cover of Esquire Hong Kong. The actor is photographed by Frederic Aranda at the Four Seasons Gresham Palace in Budapest and covers the August 2014 issue of Esquire magazine. Taiwanese company Chunghwa Telecom (中華電信行動學園 Telecommunication) has recently launched the TV commercial for the 4G telecommunications. The international superstar Takeshi Kaneshiro was hired as a spokesperson for the Chunghwa Telecom 4G to play a writer who takes his time writing, drinking tea, watching the rain, playing with birds, listening to music and reading books. The three minutes commercial leads us back to Taiwan of the 1950s and gives us idea of the warm and real memory. The CM's slogan is: "世界越快，心、則慢" (The faster the world goes, the slowlier the heart). Thus Chunghwa Telecom believes that Speed ​​4G is means to allow people to get back the full scale and colors of life. 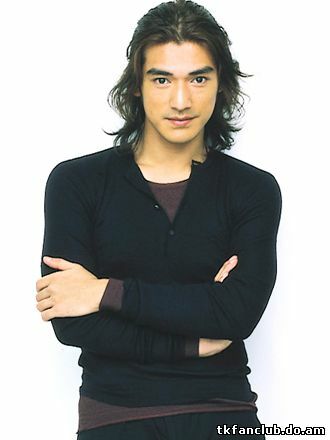 Takeshi Kaneshiro, or should we put it correct as Kaneshiro Takeshi, other name is Jin Cheng Wu (金城武), - is one of the most celebrated Asian actors who is shot in both China and Japan. He was born 11th of October, 1973 in Taipei (Taiwan), where he had to bump on the certain problems concerning his half-Japanese roots. Kaneshiro started his career as a singer and recorded albums in Cantonese and Mandarin ander the nickname Aniki which is the elder brother in Japanese. Just because we do not have one strict point of view on the artistic value of Kaneshiro’s music creations, we would not put our subjective opinion to them but you (being too curious on his music and earning to give your own assessment to that) can find his youth exertions on youtube. Gratitudes for the lovely video to Violette13) and av_orange. The song is performed by the winner of the America's Got Talent Jackie Evancho. The video represents the main theme for the "House of the Flying Daggers" by Jan Imou where Takeshi Kaneshiro performed the main role. This music is composed by Shigeru Umebayashi and is called "Lovers". Many thanks to Violette13 for the news pattern. The lists of the 100 Most Beautiful Faces by The Independent Critics have been published, in various formats, every year since 1990. This year The Independent Critics are listing the 100 Most Handsome Face after tens of thousands of requests during 2013. The Independent Critics List is not a popularity contest (sexiest or the most famous). Rather, it aims to be a very international list and one that is inclusive of many cultures, lifestyles, professions and degrees of fame. This list searches far and wide, listening to the millions of suggestions submitted every year, and tries to put together a list representative of the modern ideal of aesthetic beauty. 25 countries are represented on 2013 list.